First what exactly is kodakcoin? 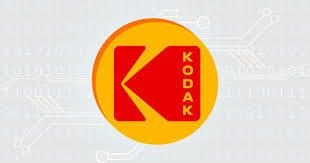 Kodakcoin is cryptocurrency (a digital asset intended to be used as payment on a blockchain network) created by the partnership of the Kodak and Wenn Digital companies. This cryptocurrency is intended to be used on a blockchain. A blockchain is basically a digitial ledger or collection of all transactions involving the use of said cryptocurrency. The blockchain can also be used to keep track of any kind of record basically. In this case Kodak coin will be paid to photographers in exchange for their work being uploaded to KODAKONE the name of the kodak network keeping track of all this. So when photographers upload their work to the kodakone network or blockchain. They will be paid for it and anytime it is used. The kodakone network will do several things. Keep track of the photographer’s work online and make sure they get paid. They will also pay photographers directly for their work. This can come across as a ideal situation since many photographers have their work stolen or used without their permission or payment in return. The Kodakone network with the use of blockchain hopes to remedy this problem. Is Kodakcoin a scam to take adavantage of the new cryptocurrency craze? Well there does seem to be a few indicators that this new move might just be a way for kodak, whose stock and company has been going down in the recent years, to make a quick cash grab. First back in 2012 kodak had to file for bankruptky and hasn’t really been doing that well. Anyone can type in kodak bankrupty and read all about it. Then there was some news of a coin project called RYDE coin being promoted on a crowdfunding website called Get Started Engine and only raising about $800 or so. While the page is no longer available to see. Google cached a version of it Jan 3rd. This RYDE coin was started by Wenn digital which is he same company that partnered up with kodak to created kodak coin which was annoucnced mere days after the aborted of RYDE coin project. So it would seem that Wenn digital sought out Kodak for a licensing deal to use their name and rename their failed coin project or kodak saw a way to use their name to get inonthe cryptocurrency craze in name only. Since kodak is a well known name and marketable for trustworthiness and cryptocurrecny is the buzzword nowadays. This seemed to be a way for both companies to be instantly profitable. This was proven true when Kodak announced their new cryptocoin kodakcoin and witnessed their stock prices go from around $4 a pop to over $12 in a mere 24 hours. They also announced that they would be doing an initial coin offering or ICO on Jan 31st 2018.This where they offer anyone who is interested to trade their fiat currency or bitcoin for an amount of kodakcoin in exchange. This might seem like a steal especially if the coin really does go up exponentially. So should you invest in kodak coin when it merely seems to be a rebranding of a failed coin project and kodak the company itself is mainly known for photography and has had issues in the past with being profitable. Also keep in mind the compnay that they partnered with Wenn Digital is ultimately not known for dealing with blockchain technology either. So one should really research and maybe even wait for a white paper (a white paper is basically where a company or developers explain the project, the vision and eventual outcome of a said project )and currently one has not been found for kodakcoin to appear before investing in this too much!